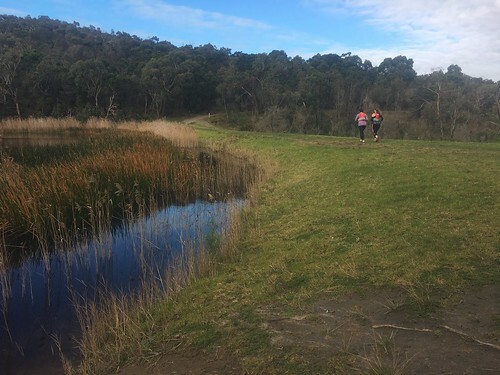 [run] 2018-07-22 Two Bays in July. Just for the Craic ! Notes: Dogs are not allowed. 2Bays in July. Just for the Craic! 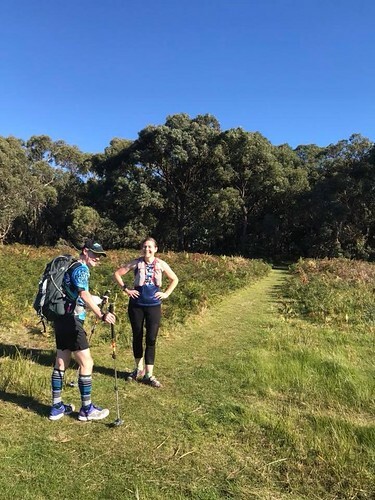 The plan was to run as support, allowing approximately 5 hours for the 28km, ignoring all of the cut off times of the Two Bays Trail Run event and taking it easy so that anyone who wanted to complete the course could do so. 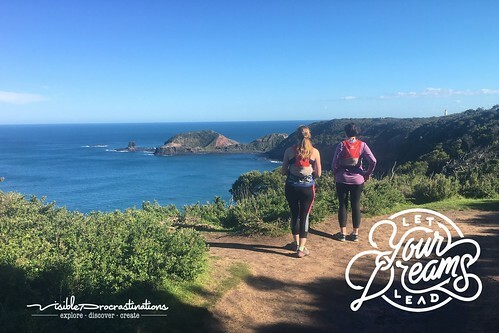 There were groups that were planning on running faster (c.3 hours), and some running shorter distances. Based on this timing I went with the “fully loaded” theory – using a hiking pack with a day hike load would make the 5 hour pacing a challenge. 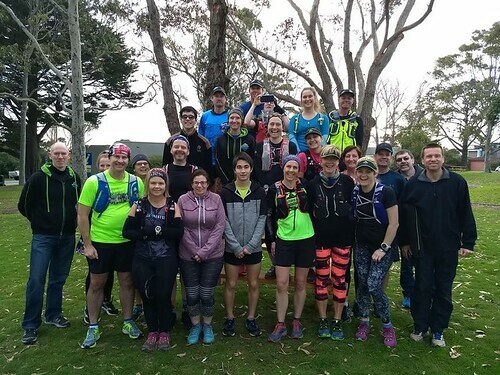 A great turn up at the Dromana Tourist Information Centre to have a day on the trails. 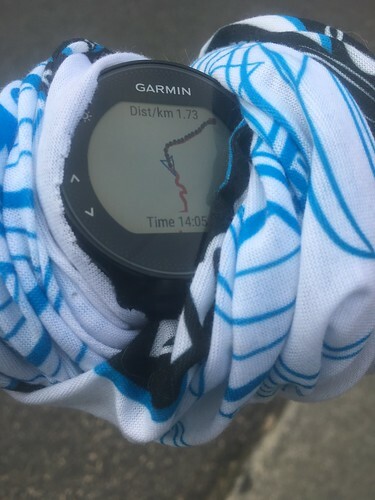 For this run I used dwMap (dynamic watch) for navigation for the first time. It’s a reasonably good solution for a breadcrumb trail. Note: background maps are unavailable on the Garmin 235 due to memory limitations. 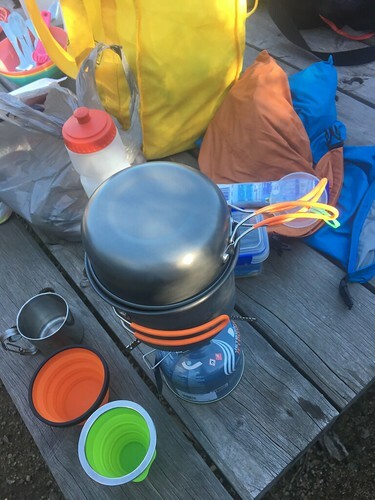 Part of the “fully loaded” kit included the gear to make a brew on the trail, which we didn’t need at Borneo road and saved until the finish. Elapsed Time: 4:27:04, Relative Effort: Tough, Avg HR: 132 bpm, Max HR: 192 bpm – “fully loaded” did provide the challenge. 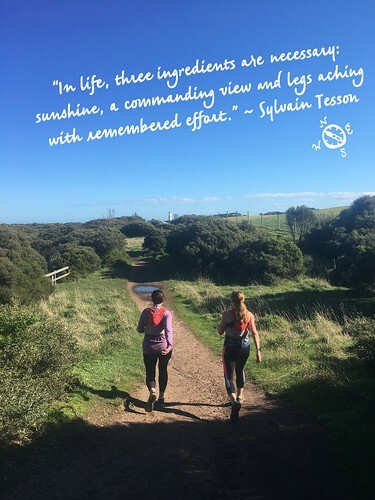 This entry was posted in 2018, outdoors, running. Bookmark the permalink.